I'm a mom to both kids and cats, and totally get how important mothering is for both felines and humans. They both need care, love, and attention, right? Scooping litter boxes and changing diapers are not that much different, but clumped poop in a litter box is a bit easier to deal with than loose poop in a diaper. I wish diapers somehow clumped baby poop -- that'd be cool, and a total gold mine. I digress. I'm a proud cat mom! What I'm trying to express is that moms everywhere deserve major props for being all-around awesome. Consequently, Mother's Day is coming up here in the U.S., and many of us are thinking about gifts and goodies we'd like to give our moms, or other strong female figures who've influenced and cared for us. Phoebe: "Happy Mother's Day. Feed me." 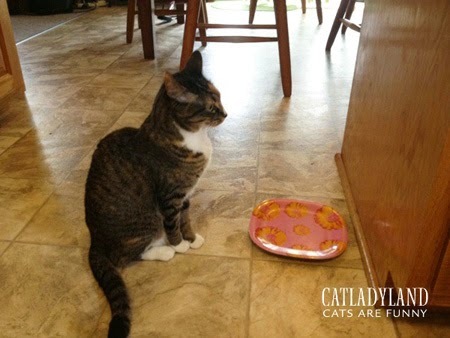 Do you think your cats are gearing up to give you something special? Like maybe they'll move from the rug to the hard surface before coughing up a hairball? That's be a nice surprise! Thanks, kitty! Mom knows all the coolest hairstyles. 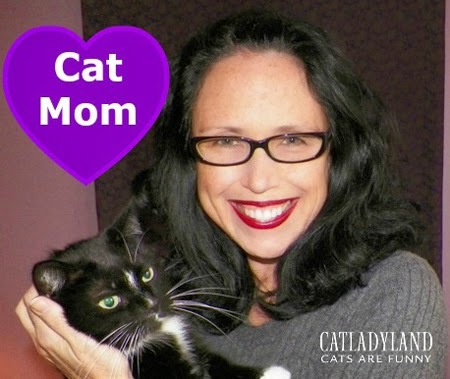 Really now, listen up -- Tidy Cats and Catladyland know cat moms deserve recognition, and we've partnered to give ten of them a special Mother's Day gift "bouquet" surprise. I can't tell you what it is, so don't even ask. What kind of surprise would that be? A bad one. The surprise will be delivered to your home, even! Woo! Moms can be embarrassing sometimes. Here are the details -- you must follow the instructions in order to qualify for the giveaway. Comment on this post with your first name and last initial, your cat or cats' names, and -- most importantly -- tell us why you love being a cat mom. If you win, we need to be able to contact you, and don't want you to have to leave your personal email address in a comment. Solution! After you've commented on the post, click on the Rafflecopter widget below, and, in the same line, leave your first name, last initial, and email address. That way we can match that with entry with your comment. Easy peasy! 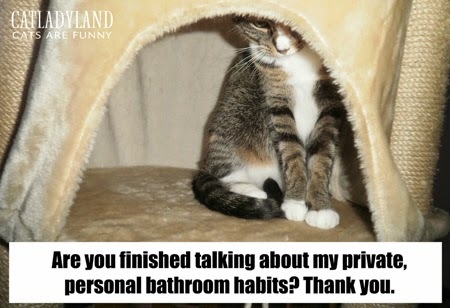 is post was sponsored by Purina Tidy Cats. 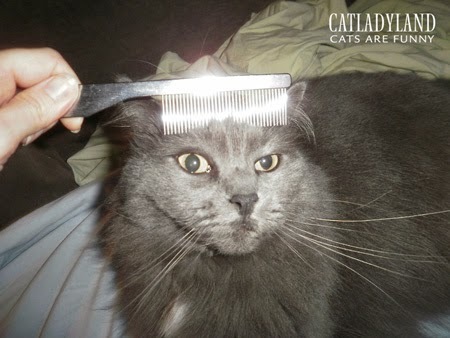 I am being compensated for helping spread the word about Tidy Cats, but Catladyland only shares information we feel is relevant to our readers. 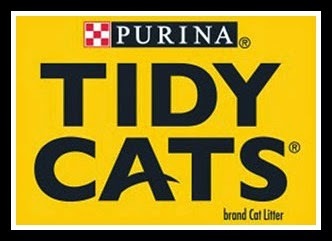 Purina Tidy Cats is not responsible for the content of this article.